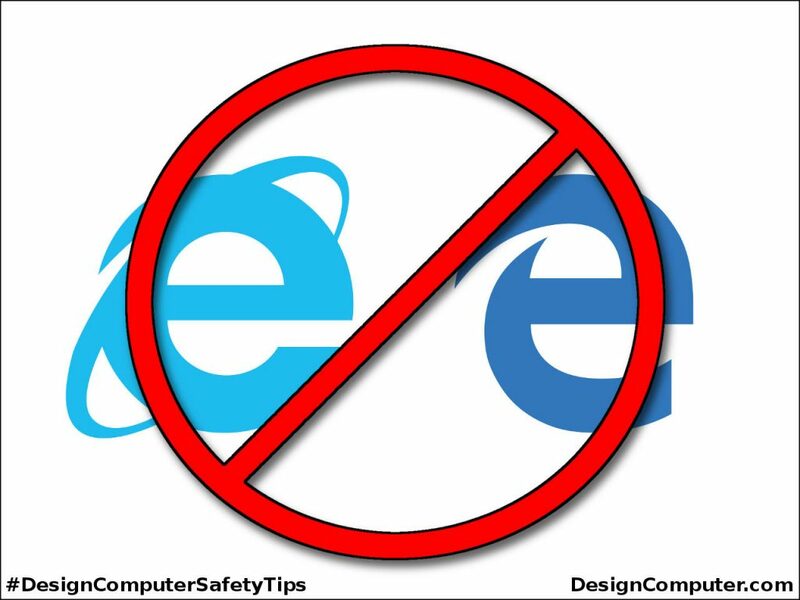 Avoid the use of Microsoft Edge or Internet Explorer web browsers. At Design Computer we recommend Google Chrome. Better compliance with the World Wide Web Consortium’s standards and much more secure browsing. Some poorly designed, and usually insecure, websites and plug-ins require Microsoft’s antiquated Internet Explorer. Switching Internet browsers may be the easiest thing you can do to improve your online security. A computer hacking contest called Pwn2Own is held annually at the CanSecWest security conference. For 2017 Microsoft’s Edge came off as the least secure browser and Google Chrome as the best. The 2016 results were the same. How about 2015? If you guessed that a Microsoft browser was the worst and Chrome the best, you’re right. While the Edge is much more secure than Internet Explorer, Chrome is the clear choice for those who are concerned about security. So why wouldn’t everyone use Chrome exclusively? There are many old plug-ins and some websites that require Microsoft’s looser security model in order to work. One example of this is some cheap security cameras made in China that require Microsoft’s ActiveX controls. If you absolutely must use a Microsoft browser for one of these applications, then it is best to use it ONLY for that app and use Chrome for everything else. 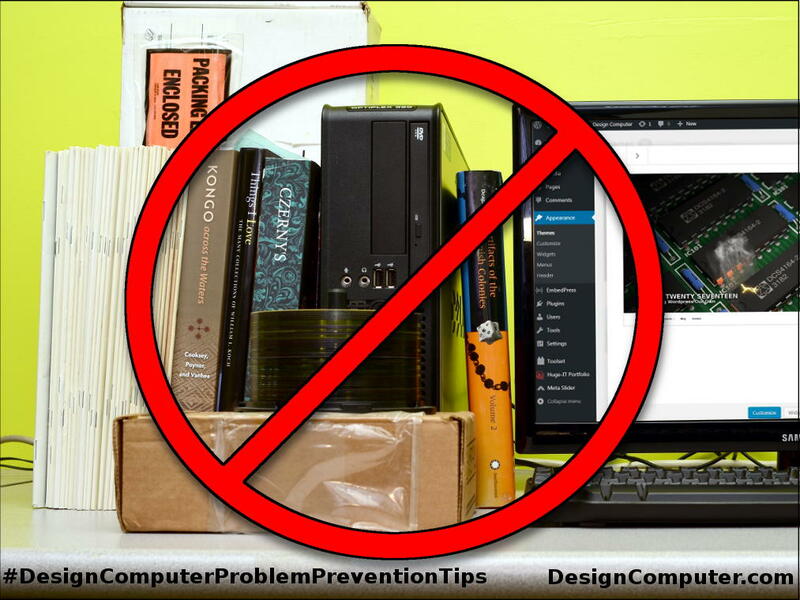 Give your computer room to breathe, keep the nearby area clean and the ambient temperature comfortable. Your computer will likely last much longer and have fewer problems. You won’t be able to hide your computer in a unventilated cabinet or use the space right around it for storage. One of the most common reasons computers fail is heat. Cooling methods vary, but most desktop computers were designed to draw air in through the front and push it out the back. Laptops usually pull air in from the bottom and three sides then push it out the remaining side. When you set a running laptop down on something soft like a comforter you are likely blocking an air vent. If the air flow is restricted a computer may run at higher temperatures than it was designed to. Nearby lint, dust and dirt can be pulled into a computer where it builds up in the vents and on the motherboard. These contaminants act just like a blanket. Placing a computer in a cabinet that lacks proper ventilation or running it in a room where the temperature is above the high seventies will likely shorten its life too. Some small computers don’t even have a fan. They use convection alone to stay cool. Extra care needs to be taken with these. Develop a habit of checking for an SSL Connection (Secure Sockets Layer) BEFORE logging in or entering ANY information in a web form. The information you receive and enter travels over the network encrypted. This usually makes it extremely difficult for others to monitor your communication as it travels between your computer and the website’s server. 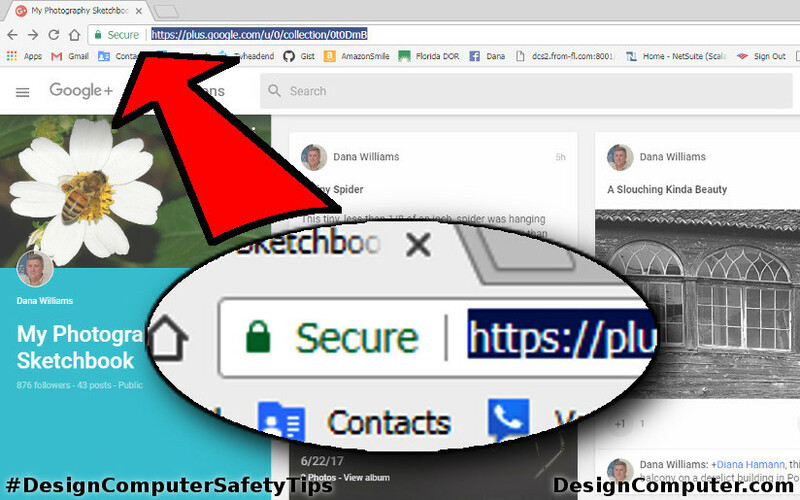 You need to learn how your browser shows you that your connection is secure and remember to check for the “https” in the URL Address Bar. When you connect to a website via https versus http, a complicated security handshake occurs. If this handshake is successful the browser will indicate that the connection is SSL Secure. In Google Chrome it does this by adding the word Secure and a Lock image to the Address Bar. Most legitimate websites that require ANY KIND of log-on will use SSL. It is important to remember that if you don’t have a secured connection your web traffic is EASILY READABLE on the Local Area Network as well as other places using a packet sniffer. Many criminals have been caught setting up packet sniffers on free Wi-Fi networks in coffee shops, hotels, airports etc. Having a secure connection is not enough. You also need to learn how to verify you are really connected to who you think you are. More next time. Don’t just click through installing ANY software on your computer or phone. It is important to avoid installing PUPs (Potentially Unwanted Programs). Pay special attention to any “optional” offers that are often selected automatically. 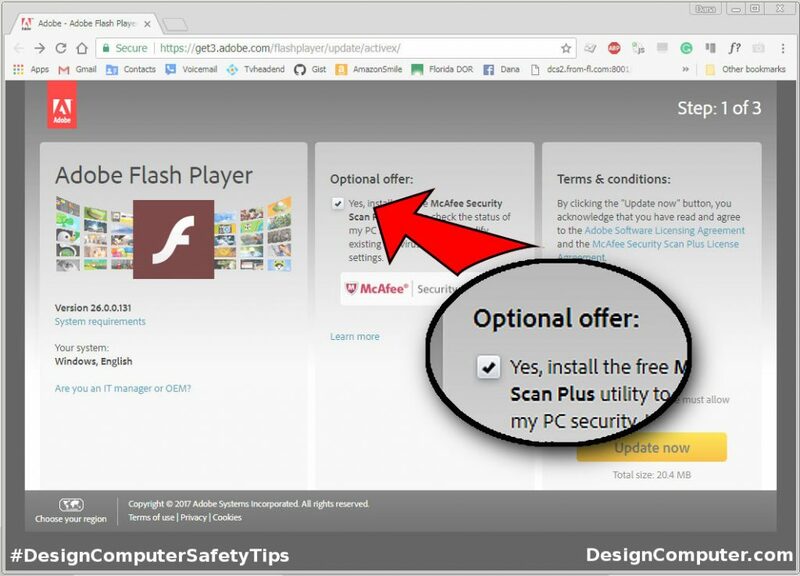 This is one of the easiest ways to avoid installing adware or malware. You need to slow down and read. You might not be able to install the software you want without installing something else. In this case, just say no. It is almost impossible to purchase a computer today that isn’t already loaded down with adware before you turn it on. Many “free” programs, plug-ins, and phone apps include adware to help fund their development, and some include dangerous malware. Nothing is really “free”.